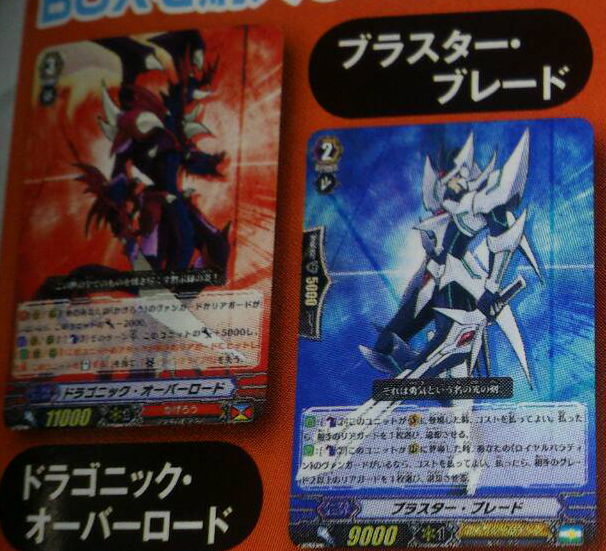 Some first images from the January issue of Monthly Bushiroad magazine have been leaked early by distributors, breaking the issue's December 8th street date. Additional leaks may be expected in the coming days. 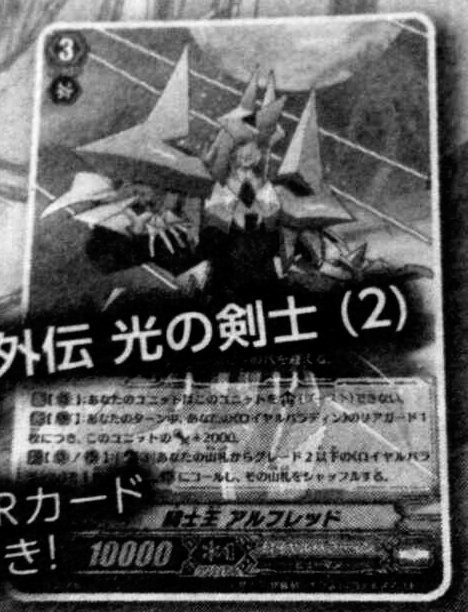 These first looks into the issue have revealed that the first compiled volume of the Cardfight!! Vanguard Gaiden: Shining Swordsman manga will come with an alternate artwork print of the King of Knights Alfred, illustrated by the manga's artist Koshimizu Makoto. Shining Swordsman first began serialization in Monthly Bushiroad's first issue last year, and the compilation of its chapters represents a major milestone for the manga. The promo print will be valid for use with Alfred's revival legion, King of Knights' Vanguard Ezzell. Notably, its printing will make Ezzell valid for play in one of Bushiroad's recently announced alternate formats "G Regulation," which only allows cards printed from the Cardfight!! Vanguard G format onwards. Recently introduced as a format more friendly to beginners, while it is currently being treated much as Extreme Fight Rules are, the prospect of set rotation is being approached cautiously by veterans of the TCG. As all of the revival legions are also having their mates reprinted at Comiket 87, this could be seen as setting the stage for making the G-onwards format Bushiroad's primary one. 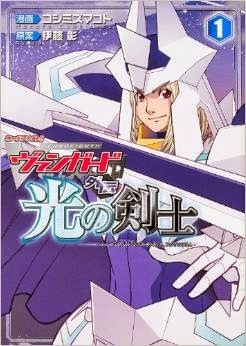 This issue also revealed that an upcoming volume of FiveQross, one of Bushiroad's other TCG properties, will come packaged with alternate artwork prints of Blaster Blade and Dragonic Overlord, drawing on assets originally created for the volume 1 and 2 covers of Itou Akira's Cardfight!! Vanguard manga.